I always always get asked what my clients can snack on or what is it that I snack on so what better place than to put them all in once place… on here! 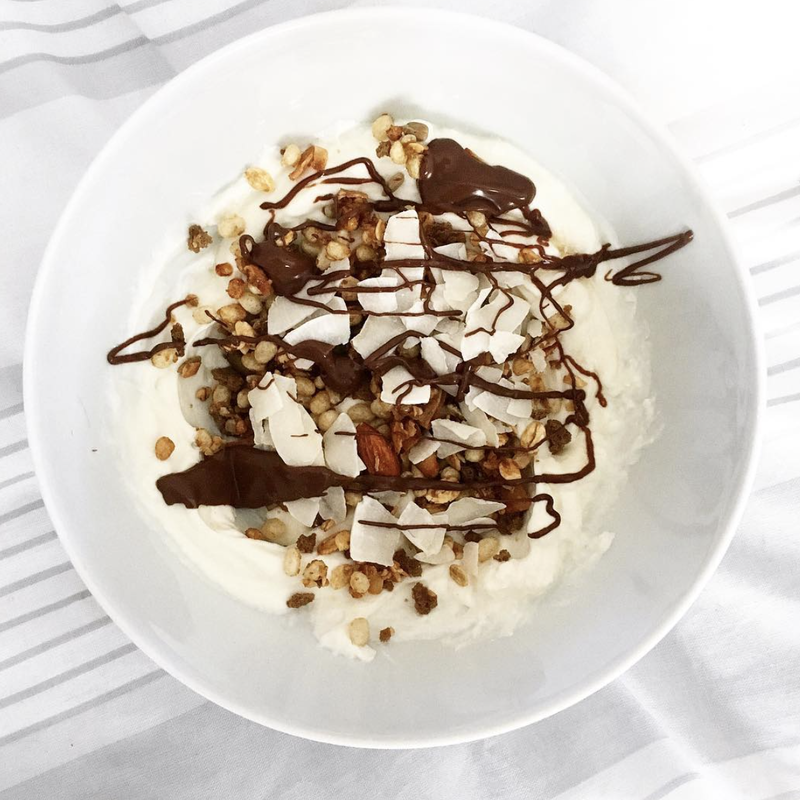 I blooming love yoghurt bowls and I love even more playing around with topping. I shop loads in Holland & Barrett for a variety of topping. This bowl is total fage 0% with Diablo chocolate spread as well as Eat Natural Breakfast Granola. Yummmm to protein smoothies! If you don’t know I’ve given up whey protein due to gut issues but I now use MissFits Nutrition vegan blends and love making protein smoothies. 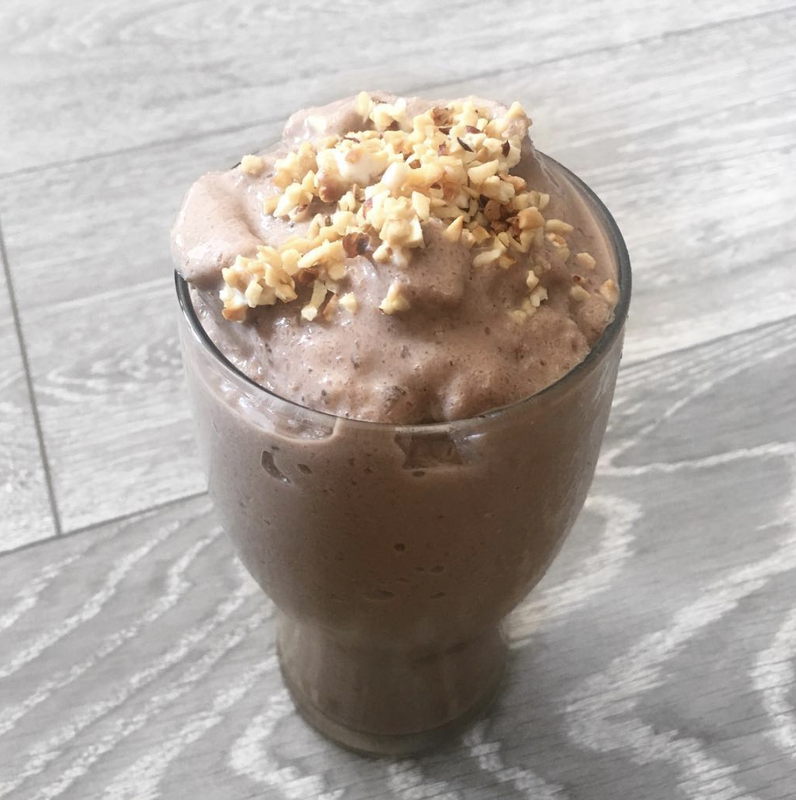 This one has chocolate flavour, peanut butter, almond milk and ice… topped with a sprinkle of chopped hazelnuts. Ok, so it’s no secret that I’m a massive egg head. Sorry to all the chickens but they are so bloody good. 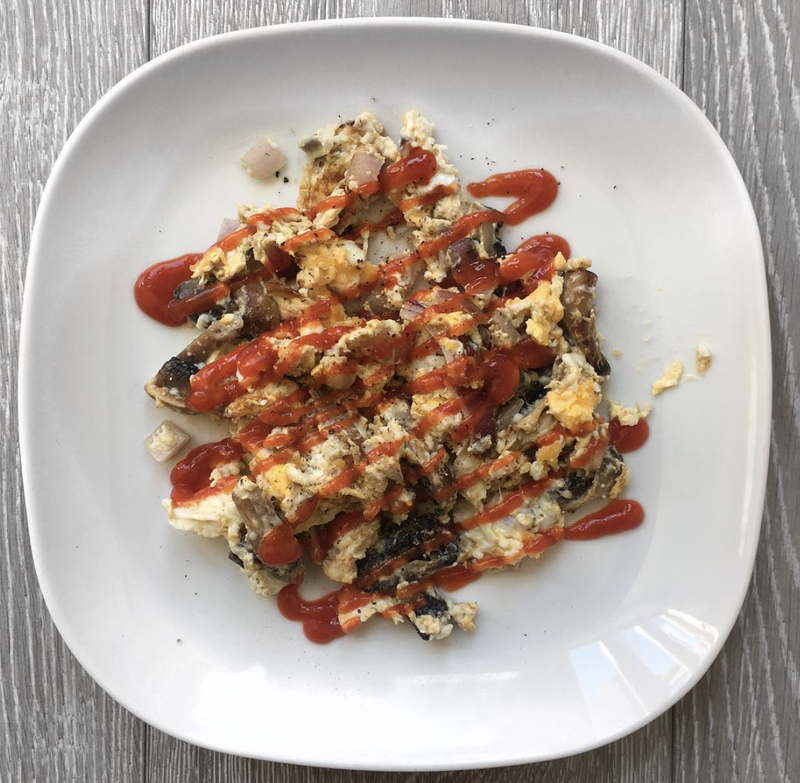 I normally go through phases with eggs, I had a long stint of scrambled eggs mixed with mushrooms and onion like the one above… if I was feeling wild I’d add bacon. However, at the moment I’m loving boiled eggs with ham and also poached eggs. Boiled eggs for on the go, kept in a Tupperware. WARNING: when Tupperware opened you’ll stink the surrounding environment out with the stench of egg… but hey, at least it tastes marvellous. 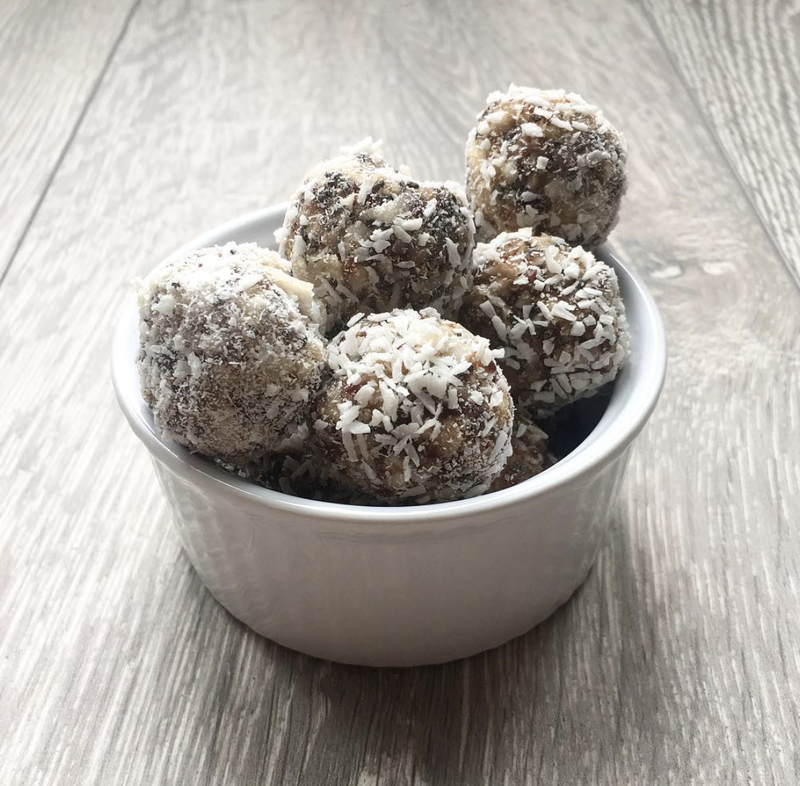 If you’re not one to make yourself… I’d recommend the Deliciously Ella balls…. 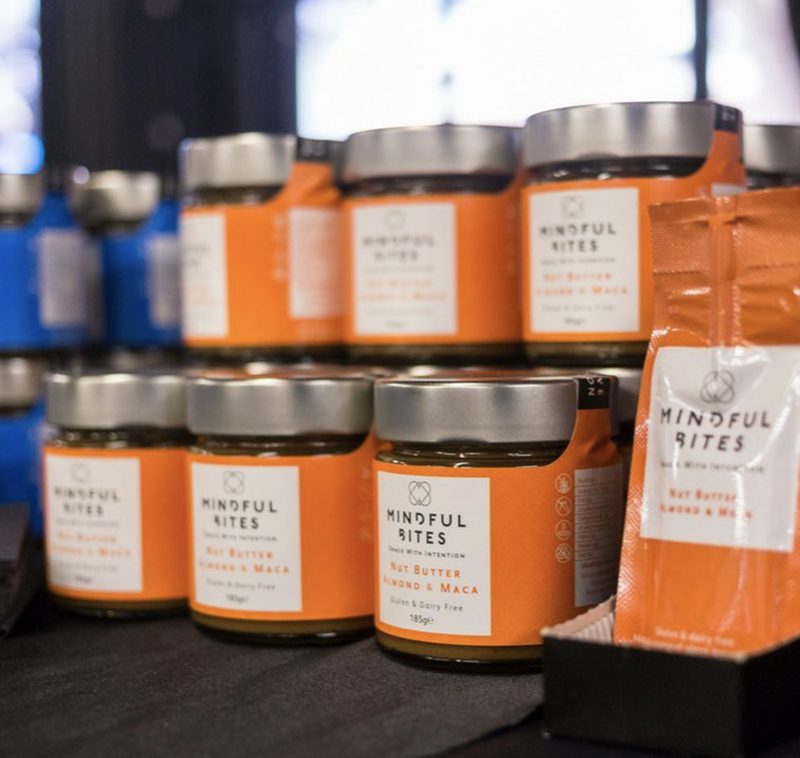 & for even quicker snacks on the go, similar to the Deliciously Ella ones I love love love the following….. 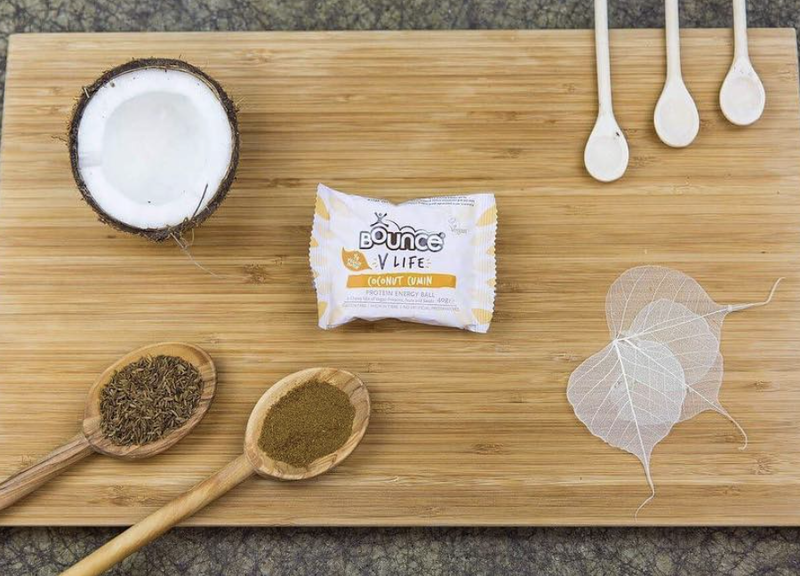 Bounce Ball / Eat Natural Bars / Perkier / Grenade bars (for those that can have whey) / Pulsin bars. Hopefully you’ve found some inspiration for snacks here… but I’d love to hear yours! Comment below your fave snack!